Interested in building a meaningful career with an innovative company committed to being an industry leader? Consider the possibility of becoming a Teichert employee. From strategic support services to field positions to leadership, Teichert offers many opportunities for motivated individuals. At Teichert, you will find a stimulating environment offering training opportunities and growth potential you’ve been looking for in a career. Teichert recognizes the advantages derived from a diverse workforce and prides itself on being an Equal Opportunity Minority/Female/LGBT/Individuals with Disabilities/Protected Veteran and Affirmative Action Employer. Teichert’s construction, materials, and support teams (including Safety, Information Services, Finance/Accounting, Human Resources, Sourcing, Industrial Relations, Risk Management, Mobile Equipment, and other professional services) offer competitive salaries and comprehensive benefits. For more information about benefits offered, please view our Benefits Summary. 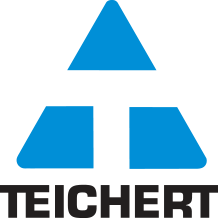 PURPOSE The purpose of this role is to be a leader of change in order for Teichert to obtain its goals with regard to Safety and Environmental Programs. Specifically, this role will lead, educate, train and support the field in Safety and Environmental Best Management Practices. This position will oversee the study of accidents and potential risks, compiles reports, recommends preventative or corrective safety actions, and successfully trains employees on safety programs. This role assists with establishing Corporate Safety and Environmental policies and administering Teichert’s Management Systems Programs. ESSENTIAL DUTIES & RESPONSIBILITIES - Be a vocal and charismatic Leader to guide us to our goal of creating a zero injury, incident free and “Actively Caring” culture. - Have a good working relationship and network with people outside the company in the Safety field. - Contributes to the development of, and implements, plans for future safety operations. Identifies areas for preventative safety, recommends innovative safety measures, provides input into planning safety training, and continually evaluates effectiveness of Teichert’s safety program. - Keeps current with changing business needs and regulatory and industry safety issues, changes, improvements, and trends. Shares knowledge, presents updates, and/or recommendations to management; ensures craft and business unit staff is kept abreast of current changes/improvements to program. - Facilitates collaboration across business units and builds consistency in safety practices and procedures. Ensures policies, procedures, and standards are adhered to as well as protect the company interests. - Promotes and protects Teichert’s values including diversity, teamwork, fair work environment, and respect of others; maintains a “team” spirit; works and cooperates with other disciplines (across company lines) to ensure maximum and best use of resources. Participates in department meetings to stay abreast of business unit issues. - Promotes and protects the community perception of Teichert. - Maintains the Corporate Safety Culture for a safe and healthy work environment through successfully meeting corporate safety standards and overseeing safety and health programs of business units. Reviews, develops, implements, and evaluates plans and programs designed to educate business unit employees and prevent injuries, illnesses, incidents, and property damage. Assists staff in recognizing hazardous situations, documenting and recommending corrective measures; follows through with safety personnel to insure corrections have been made. - Ensures compliance with local, state, federal, utility organizations, and Occupational Safety and Health Administration (OSHA) rules and regulations; identifies, investigates, documents, and recommends resolution of hazardous/potentially hazardous conditions; follows through with operational personnel to ensure corrective actions have been made. - Promotes safety consciousness and reduces accidents through planning and implementing company and regulatory training; works with management to identify areas for preventative safety measures and develops/conducts training as needed. Participates in developing and conducting craft safety orientation and attends, participates, and/or leads safety related initiatives; assists in training personnel on equipment, policies, procedures, and hazards. May assist operations by participating in pre and post job review meetings to prepare for or review customer safety requirements and/or issues. - Proactively manages/oversees injury, illnesses, and incident prevention initiatives. Specifically, ensures personal injury and property damage incident investigations, forms, reports and processes are in compliance with safety program policies, procedures and federal, state, local regulations associated with accidents. Works collaboratively with Teichert’s Risk Department in coordinating or overseeing the return-to-work program; follows through with employees to insure adherence to program guidelines. Works with management to maximize performance, accountability, and motivation of workforce while maintaining morale. Models innovative/effective management practices. - Develops positive working relationships with field staff, vendors, suppliers, state and federal regulatory agencies, utility organizations and industry peers. Assists in conducting employee/craft/inspector on walk-through tours and may issue various permits as required. Facilitates communication of company safety policies, procedures, and standards. - Assist in managing internal administrative organization and documentation, including files, records, and reports pertaining to safety, including, but not limited to: dept. budgets, training, state and federal regulations, OSHA, etc. ; assist in site specific safety program submittals, and other safety related policies and procedures are available and up-to-date. Qualifications QUALIFICATIONS & REQUIREMENTS Education : - Bachelor’s degree in Occupational Health/Safety, (or related field) or equivalent combination of technical training and related experience Experience & Industry Expertise : - Minimum of three years’ experience in/knowledge of construction/industrial safety or equivalent combinations of technical training and related experience Specific Job Requirements : - Ability to be a vocal and charismatic Leader - Successful completion of pre-employment drug, alcohol, and background investigation - Valid Driver’s License - Ability to preserve confidential and proprietary information and successfully avoid conflicts-of-interest - Current on all company required safety training - Ability to work in an autonomous environment with minimal direction and instruction - Ability to recognize hazardous situations and recommend corrective measures - Ability to handle multiple priorities at once in a fast-paced work environment - Knowledge of first aid procedures, techniques and equipment - Thorough understanding of regulatory compliance of all local, state, federal, utility organizations and company safety and environmental requirements - Thorough understanding of corporate and industry safety practices, processes, standards, technology, equipment methods, etc. and their impact on safety activities - Thorough knowledge of company’s Standard Operating Policies and Procedures - Limited overnight travel Competencies - Builds strong relationship with customers - Business Acumen - Excellent verbal and written communicator - Organization and Management - Understands and can motivate people - Competent at People Development - Technology: Microsoft Office - Technical competence in safety Physical Demands & Work Environment : The physical demands and work environment characteristics are representative of those that must be met by an employee to successfully perform the essential functions of this job. Reasonable accommodations may be made to enable individuals with disabilities to perform the essential functions. - Physical : Sitting for long periods of time working at the computer or driving to job sites. Job site visits require walking on uneven ground, climbing, bending, stooping, and crawling in confined or enclosed spaces. Some lifting of materials and equipment up to 50 lbs. close vision, distance vision, peripheral vision, depth perception, and the ability to adjust focus. May work long hours during peak seasons. - Work Environment : Exposed to the conditions of job sites which can include loud noise, dust, fumes, and extreme weather conditions prevalent at the time. May work various shifts or hours, including early mornings, dusk or evenings. Typical office environment with adequate temperatures and lighting, low levels of no.